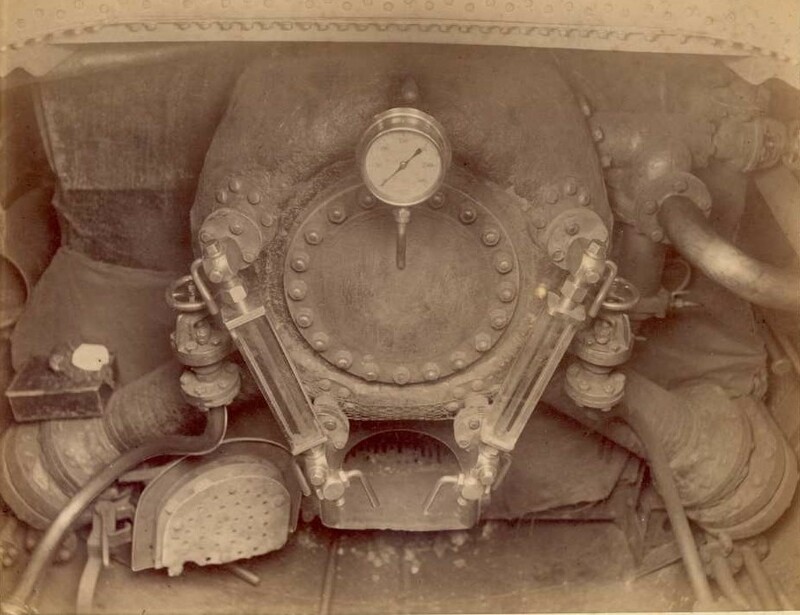 This vessel is of the utmost importance in the development of steam turbine power for use at sea. Her performance led to the Royal Navy commissioning the world’s first turbine powered warships and the predominance of steam turbine power. TURBINIA is remembered for her demonstrations at the Fleet Review and in Paris. She offered the ultimate in fast hull design for her period. 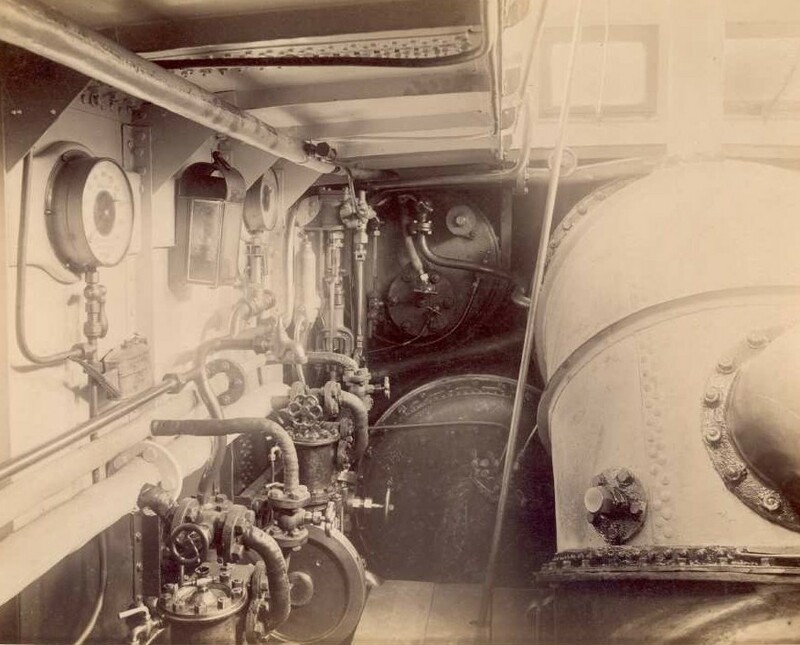 Designed by Charles Parsons in 1894, TURBINIA was an experimental craft intended to demonstrate the potential of the successful steam turbines already being produced by his company to drive generators for ship propulsion. TURBINIA had a long narrow hull form (100ft x 9ft) and, powered by a single 1000hp steam turbine, was expected to achieve 30 knots or more. TURBINIA was launched on 2 August 1894 and her trials started on 14 November 1894. Initial results were very disappointing as she could only reach 19.75 knots. The problem was traced to the propeller which was not capable of performing efficiently at 2000 rpm. Two years intensive work followed, during which the effects of cavitation on high speed propellers were discovered and eventually overcome. 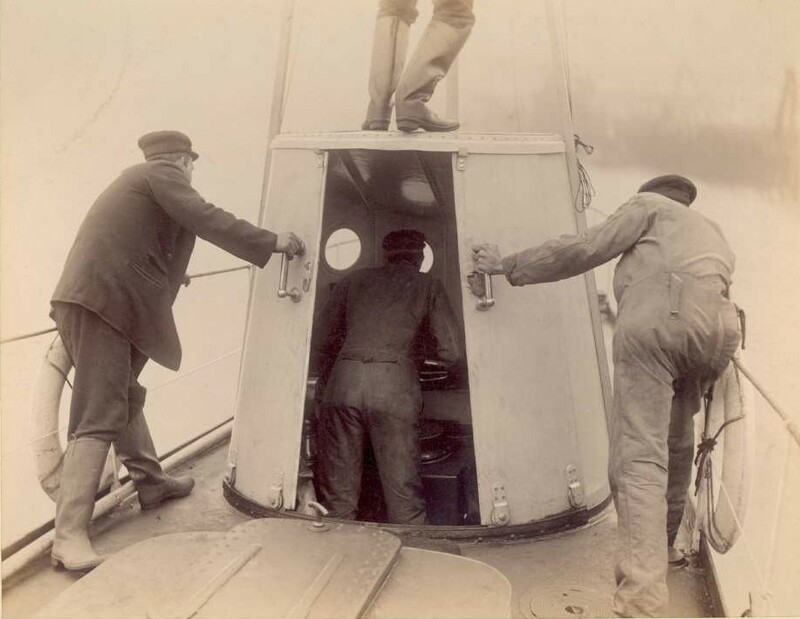 Rebuilt and now fitted with three steam turbines, each one driving a shaft fitted with three propellers, TURBINIA achieved 29.6 knots in December 1896 and further improvements gave 32.76 knots in April 1897. She was then the fastest vessel in the world. 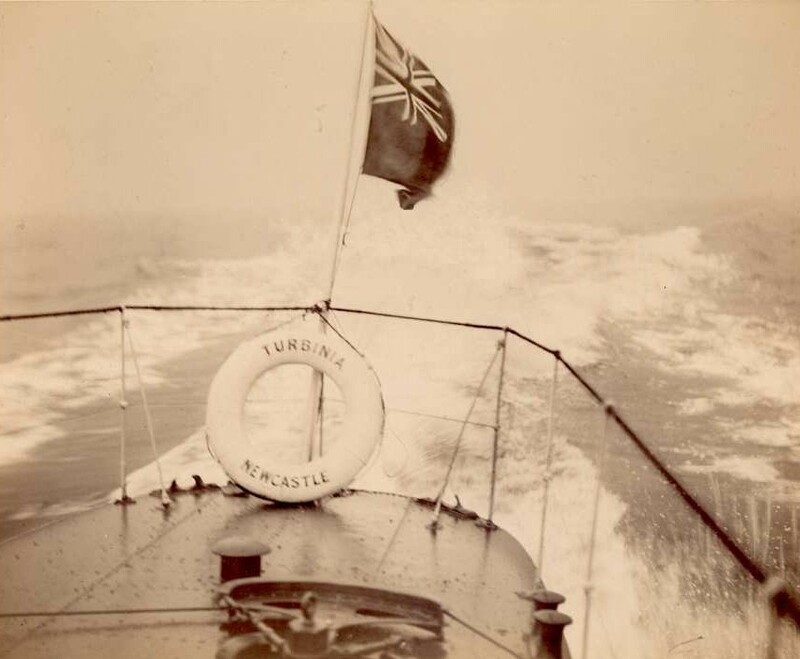 TURBINIA’s iconic moment came during Queen Victoria’s Diamond Jubilee Naval Review in June 1897, where she was shown off by being driven at over 30 knots between the lines of the World’s warships. Her remarkable demonstration led to orders from the Royal Navy for two turbine powered Torpedo Boat Destroyers, VIPER & COBRA. 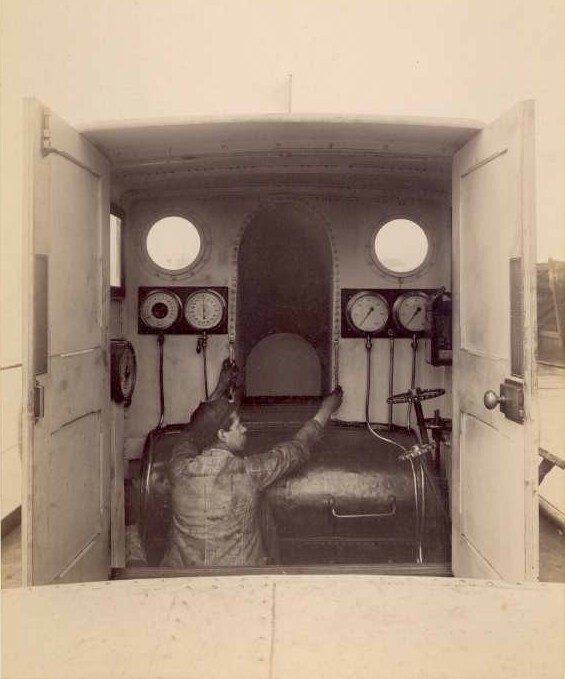 The success of these two small warships paved the way for the widespread introduction of steam turbines into the navies of the world. 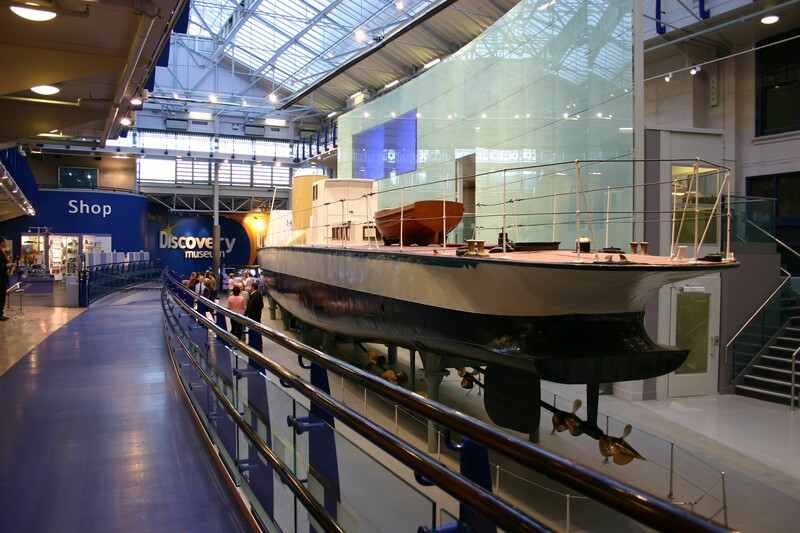 By 1906 the Royal Navy had launched HMS DREADNOUGHT, the world's first turbine powered battleship and by 1907, Parsons turbines were powering the largest transatlantic liners, MAURETANIA and LUSITANIA. 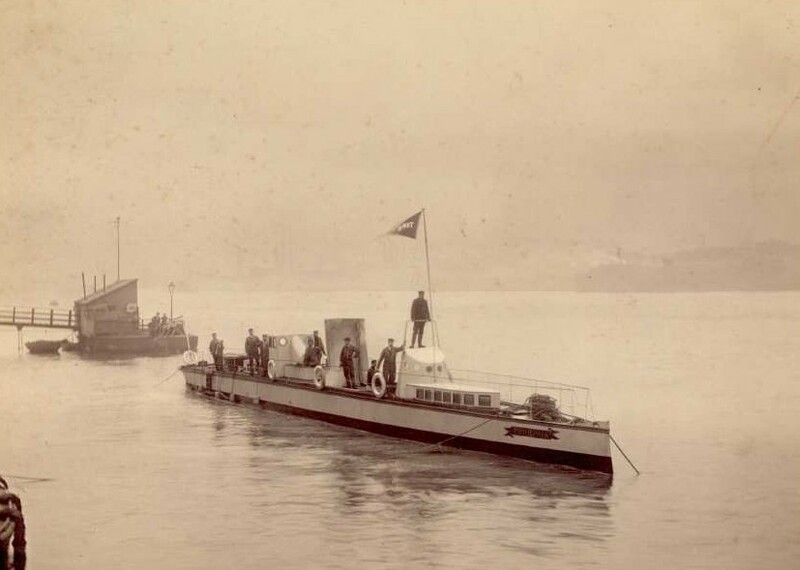 TURBINIA continued to be used as a most impressive demonstration craft and attended The Paris Exhibition in 1900. 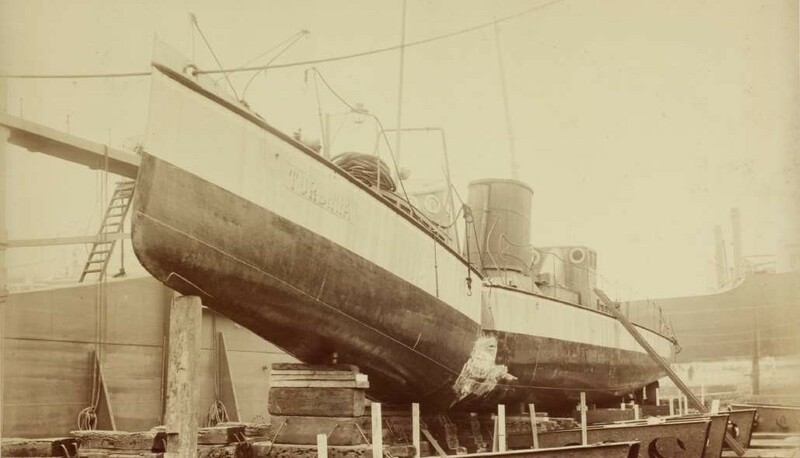 On 11 January 1907, TURBINIA was badly damaged when she was hit by a ship being launched from the other bank of the Tyne. She was repaired and her last powered run was made on the Tyne later in 1907 when it was hoped she could accompany the MAURETANIA on her maiden voyage down river, unfortunately a mechanical fault stopped her completing the trip. Taken out of the water and placed on a cradle she slowly deteriorated. 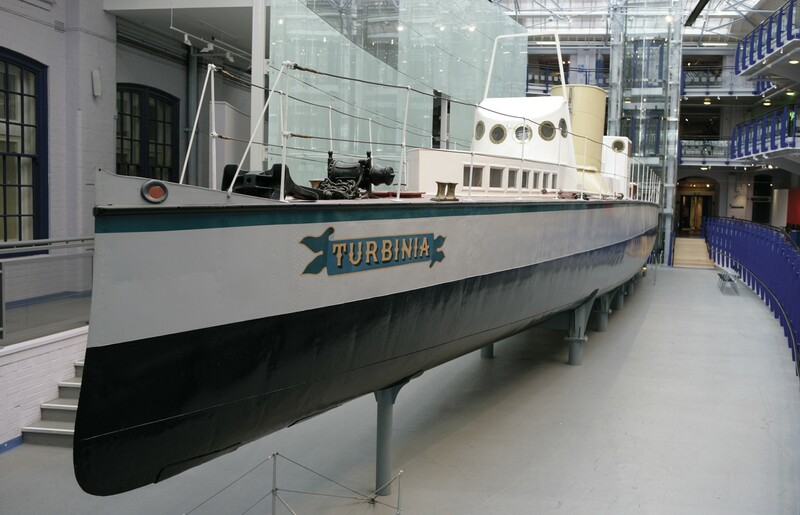 In 1926 TURBINIA was offered to the Science Museum but, due to lack of space, the museum could only accept the stern section containing the turbines and propeller shafts. She was cut in half and the forward section remained in Newcastle. 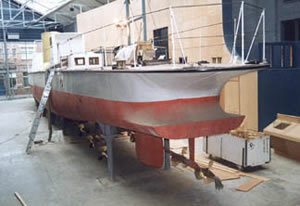 In 1959 both sections were reunited in Newcastle and the whole craft was restored and put on public display. 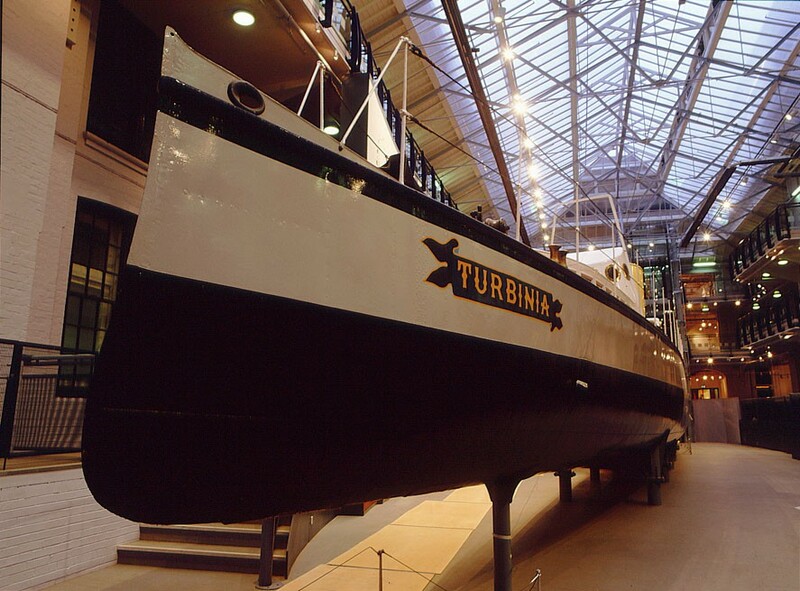 TURBINIA was taken off display in 1983 for further extensive renovation, which has restored her to her appearance in 1897 and she is now on display at the Newcastle Discovery Museum. Source; George Hogg, Advisory Committee, December 2008.